Tusshar Sasi	 October 1, 2016	 Leave a Comment on MS Dhoni – The Untold Story – Complete with emotions and blockbuster trappings! The other day I came across an interview of Bhumika Chawla titled “Who doesn’t admire Dhoni?”. The actress, who also stars in the film, is spot on I reckon. For a nation that starved 28 years for a world cup trophy, this man’s final sixer in 2011 went straight into their hearts. For an average Indian who doesn’t actively subscribe to news and controversies, that one moment did the trick forever. 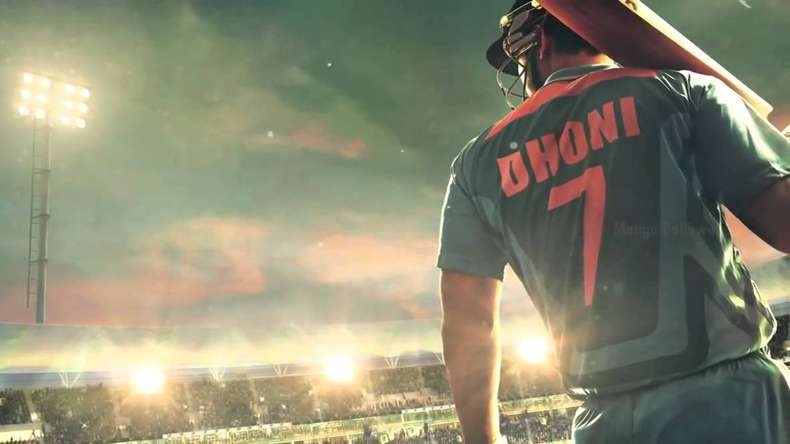 In a cinema hall that resembled more of a pediatric ward, I sat with clenched fists to discover what MS Dhoni – The Untold Story had to say about our stalwart captain. Written and directed by Neeraj Pandey, the film is an absolute win for die-hard fans. For a story green-lighted (or championed?) by Mr. Dhoni himself, the film begins with a good showcase of his childhood and the lovely people around him – ones that middle-class India has in abundance. The half-hesitant father, the religious mother, the ever-supportive sister and a bunch of friends who will kill for their friend. In a phase that is too syrupy, too goody two shoes, one aspect shines – cricket. “Mahi maar raha hai” – shouts a kid from his bicycle and hoards of people turn up to watch this local match. Such is his fame. And that is how close-knit small town India is like. Sushant Singh Rajput effortlessly nails the body language of the cricketer – on and off the field, at all phases in his life. First half takes a turn when Dhoni gets a job in Indian Railways. The father’s glee on having his son clinched a government job is believably portrayed. “Bahut aage jayega“ is the notion. As Dhoni wonders, ‘aage kahaan’ and ‘kaise’?, we do so too. One got to watch Sushant act out his first day at work. The reluctance, the confusion and the terrible feeling of being a fish in a grassland is beyond belief. These are moments when we actually root for his passion for the sport, as opposed to the bevy of helicopter shots captured in a span of seconds. Interestingly, sports films from world over seems to fancy a ‘chat with a mentor at a train/bus station’. MS Dhoni The Untold Story has one too. Laden with the usual philosophy and immaculate dialogues, one thing that continues to work is Rajput’s sheer honesty. The first half hits a halt with rain, accusations, a moving train, voice-overs and all things dramatic. What else do our masses need in a film as commercial as this? Worth observing is the fact that MS Dhoni The Untold Story follows no regular sports film arc – hardships-rise-fall-thud-rise-triumph. Mr. Dhoni consciously makes sure to ignore controversies whatsoever and understandably so. In a couple of instances, player names are concealed or muted as Dhoni takes their names. We are never told what other players and BCCI members perceived of the wicket-keeper captain. We would have loved to know about his personal bonding with the team, if at all there existed any. How about the tension in the pavilion and some cheeky banter from the locker rooms? As much as we understand the film is the cricketer’s personal pride, a moment that showed the team’s aggression and unity – if at all make-belief – would have been magical. 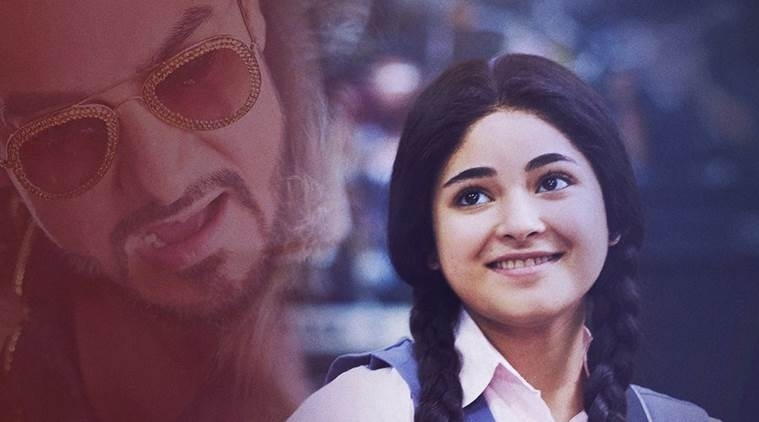 What we are served in the second half is a bunch of songs, two romantic tracks in quick succession that not only add to the film’s length but are also heavily undercooked. There are scenes (like say, Sakshi’s introduction) that could have made way to a television commercial script. In a biopic? Not really. We understand the cricketers’s closeness to his personal relationships, but the writers (Pandey & Dilip Jha) shall be blamed for what we call ‘indulgence’. MS Dhoni – The Untold Story seems like a film that is in a hurry to end. In that process, it covers a truck full of real life characters and events. There are few that doesn’t add anything to the film. Dhoni’s birth confusion scene, for instance, is mundane. The halo around Dhoni’s first girlfriend refuses to wear off hence slyly hinting the suspense way too early. There’s a sponsor who makes a random confession, a friend who’s into drinking and another who pays a visit once Dhoni makes it big. They hardly contribute anything to the narrative and their mere existence is confusing. Guess the editor has an answer, if not Neeraj Pandey himself. We observe a pretty shoddy job by the editor as inconsistencies (even in Dhoni’s physical appearance) are so glaringly visible, particularly if we observe some interspersed cuts. The honeymoon track jumps to the world cup final before your caramelized popcorn could take its trip to the esophagus. Sanjay Chowdhury’s background score is theatrical but contributes quite well in infusing drama into otherwise routine situations. Armaan Malik’s music score is okay but doesn’t get much scope barring the thumping ‘Besabriyaan’. Cinematography by Sudhir Palsane is excellent, particularly in the first half. As noted before, Sushant Singh Rajput embodies Mahendra Singh Dhoni’s persona like nobody else could have. One of the strongest male performances to come out of Bollywood this year, if not the best. Kiara Advani, who bears a wee resemblance to the lovely Esha Deol, is a decent performer. Disha Patani, too, does what one expects her to. Anupam Kher ought to reinvent his film career, pronto. We would rather see a Mr. Malhotra flirting around in style than his overdone pitaji act. Bhumika Chawla has a lovely presence, although her role is limited to just watching TV. Kumud Mishra (Sultan deja vu, anyone), Rajesh Sharma and a long lineup of character actors put in a sincere feat. Having said all that, MS Dhoni – The Untold Story is designed to be an immensely likable film and it is. The film warms our ever-patriotic hearts in good measure. We get to relive the 2011 world cup finale with Rajput’s face graphically fitted in (pretty neat VFX, one must add). Overall experience of watching this film compensates for all its flaws and wailing kids in the auditorium! We can’t even blame their parents, can we? Previous Post25 Lata Mangeshkar love songs that immortalize Yash Chopra! Next PostTalvar – Are we done debating the case yet?